AVIDA Home Care requires a rigorous hiring process to ensure that we have caregivers who are qualified and capable of giving the right level of care and assistance to our clients. As such, we provide training on a regular basis to have our workforce equipped with up-to-date techniques and standards in home care. 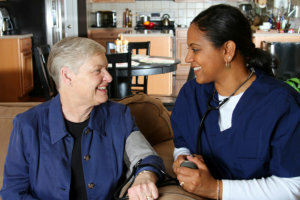 We also assess their performance in caregiving to maintain the quality of our brand of care. For more information, please contact us at 925-948-8432 / 510-394-0003.